One of the games I play with dreams is to compare the character and behavior of the dream self with that of the waking self. In at least one respect, I find that my dream and waking personalities are identical; they are both passionate book-lovers. I am forever handling, appreciating and reading books in my dreams. Sometimes these are books I have not yet written, and when I am fortunate I am able to bring back a few paragraphs I can turn into a draft. More often, I am inspecting and reading books from a universal library, of authors I know well and those I have not yet discovered in regular life. To those dream researchers who claim (as several have done) that it is not possible to read in dreams and hold a clear impression of text, I say: look again. Some of us do it nightly. In one of my dreams last night, I pulled a selection of books from my shelves that included Tolkien's The Silmarillion and several of Michael Grant's histories of Rome. I became tremendously excited by what I re-discovered in these books, especially by Grant's limpid overview of the rise and fall of the Roman empire, and its myths and customs. I resolved, in the dream, to seek out more. I learned that there is a sequel or successor to The Silmarillion I had not yet read, and of course there is always more of Michael Grant to read; this British classicist was immensely prolific, to the chagrin of the plodding pedants in his field. I don't know what triggered my dream self's book selections overnight, though I am wondering now whether he was influenced in part by my late-night reading, an excellent historical mystery by Joseph Kanon (Istanbul Passage) set in Turkey right after World War II. Michael Grant was fluent in Turkish, and was in Turkey for part of World War II, and was no doubt involved in secret operations. 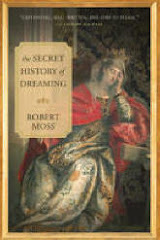 I want simply to note the sheer enjoyment of my dream self as he perused his books. As I stirred into waking consciousness in the golden light of early morning, filtered by the drapes, I stayed with him, in his dream library, relishing this gentle literary recreation. Oh yes. I'll see if there is more of Tolkien, published after The Silmarillion (a posthumous collection of his mythopoeic works edited by his son Christopher) that I need to explore; and I have already placed some of Michael Grant's books about Rome at my left hand on my desk. Dreams set assignments. from how the fixed world goes. let dreams be all your law. burn your boats on the farther shore. will be rooted beneath the waves. Island of Delos by Carl Anton Joseph Rottmann (1847). According to legend, Delos was a floating island until Apollo and his twin sister Artemis were born there. What I know of this comes from the mind of the ancient one whose skin is the color of fine white ash. He wears only the hide of a leopard. He sits looking into the mirror of a pool of water. The mirror catches the blue-white light of a distant star in an indigo sky, shining down through the smoke hole of the conical hut. The ancient one reads other things in the water, the intersection of purposes projected from another world with human lives. As he reads the patterns, he scores lines with his forefinger in the bed of fine powder at his feet. There is a swirling in the water. A vortex opens at its center, turning very fast. Then the swirling reverses direction and the water gathers in a spout that spurts high into the air. From the hard spray, a new pattern emerges. The water moves in a way that water cannot move. Fourteen ridges appear, moving rapidly from the center, running to the edges of the pool. The ancient nods and notes the event in the dust, in his binary code of single and double lines. The homecomng is often the hardest part of the hero's or heroine's journey. You'be been out there, maybe to hell and back; you have faced and overcome your demons and your temptations; you have flown in worlds of beauty and enchantment. Now how do you ground yourself back in the circumstances of everyday life and keep it all together? and the one who gentles him. I am the third raven. I am the hunter and the hunted. and I remember the blue star. I am the boy who did not die. The Sebastopol Dreaming: The image is a mural in the Youth Annex at the Sebastopol Community Center where I led a workshop last weekend. I gave the group the assignment of writing a "shapeshifting poem" in the Celtic style; the poem here was my contribution. Again and again, in my dreams of the early morning, the word "Monash" was featured. I was on a university campus, but later in the bush, with several different groups of people. Waking, my first association was with Monash University in Melbourne, the city where I was born. I led a one-day dream workshop there a decade ago that was attended by nearly 600 people, giving me a grand sense of validation and a deep measure of soul healing, since I was a very lonely boy when I lived in Melbourne (before the age of 11) unable to share my dreams and experiences of the deeper reality with most of those around me. I recalled that on my darkest days of illness and loneliness, a ruddy-faced older man with white hair would appear to me, in my visions, and reassure me that I would make it through. "I promise you, you'll make it through. And that the day will come when the world will be eager to hear your dreams." I now know that this older man - a wise and cheery uncle I never had - was my older self (younger than I am now) reaching back to help bring my boy self through. Dreams require action, even if only a quick internet search. So I went to Auntie Google and pulled up the website for Monash University. I was gladdened to see that on the home page they declare, "Monash is a university of transformation." They feature a good quote from Sir John Monash, the commander of Australian forces in World War I from whom the university takes its name: "Adopt as your fundamental creed that you will equip yourself for life, not solely for your own benefit but for the benefit of the whole community." Excited, I followed the link and discovered that teams of Monash University researchers are helping to recreate the Dreamtime stories of the Yanyuwa people, who live on the southwest coast of the Gulf of Carpentaria, using state-of-the-art 3D animation technology. In conjunction with anthropologist Dr Amanda Kearney of the University of New South Wales, IT professionals Tom Chandler, Brent McKee and Chandara Ung of the Berwick Campus of Monash University have developed the Monash Country Lines Archive website. The project aims to assist indigenous people in the 3D animation of stories combining poetry, songs and language. This is done with great respect; older and younger generations of the Yanyuwa people sit together and share knowledge. As I watched the animated clip, and then scanned photos of Yanyuwa teritory, I felt I was slipping back into some of the landscapes of my dream. I am excited by the Monash project, and plan to learn more about it and to explore whether similar technology can be used to bring alive the Dreamtime stories and "mythistory" (a word I have borrowed from the poet George Seferis) of other peoples. I am reminded that even a scrap of a dream - in this case a single word - can be a key to interesting discoveries, as long as we are prepared to do a little work with it. Dreams set us assignments. In my conversation with Cecile Carson M.D. in my radio show today, we talked about simple, non-nonsense ways about bring ancient modes of soul healing into modern medicine. She delighted me, and will hopefully inspire others, including clinicians, with a couple of examples from her personal practice of how to make room for soul in the midst of a busy modern practice. She told me that, whenever possible, she would take a little quiet time, before a meeting with a patient, to offer a silent prayer. She asked that she might be guided to name what needed to be named in the right way, to understand what was truly going on in the life and the body of the person she was going to help, and "to help myself get out of the way" of the deeper process of healing. She spoke of clearing and maintaining the right space for healing. In that cause, she explained, she would often turn her eyes to an extraordinary photograph by Jerry Uelsmann that she kept in her office. It shows a twisted and blighted tree, stripped of foliage, seemingly dead and deformed. Yet in the pool before the tree we see the reflection of a tree that is vibrantly alive, erect, with all of its needles. Contemplating this image, Cecile would picture the wholeness and healing she wished her patient to claim. She kindly sent me a scanned version of the picture, which you see here. She talked with moving passion about the "yearning" of physicians to help the patient, and become healers of the whole person as well as fixers or palliators of symptoms. To move towards healing on the level of soul, Cecile offered, is "an opening to the mysteries". The Fox was in play today, producing a communications glitch that resulted in Cecile and I only sharing the last segments of my "Way of the Dreamer" radio show, which you can access in the archive. She'll be back to share more of her insights on the necessary convergence of ancient shamanic practice and contemporary healthcare. Plato attributes this declaration to a "Thracian" military physician who reports that this is the teaching of the "god-king" of his people, Zalmoxis, who has created a school for soul healers. For "Thracian" read "Dacian"; the Dacians were an ancient people of what is now Romania, and Zalmoxis was god-man who was born from a cave, like a bear. I'll be leading an adventure in shamanic dreaming and dream archaeology near his legendary birthplace, in the Carpathian mountains in October. A woman physician in Alaska dreamed that her two grandmothers, one Athapaskan Indian, the other Euro-American, paid her a visit in the same dream. They told her, "Go to Robert Moss. You need to meet the Bear." At the time, the doctor had never heard of me. But she entered my name on an internet search engine, and immediately pulled up the details of a workshop I was leading in Oregon a few weeks later. The title of this program was: "Dancing with the Bear: Reclaiming the Arts of Dream Healing." The physician did not hesitate. 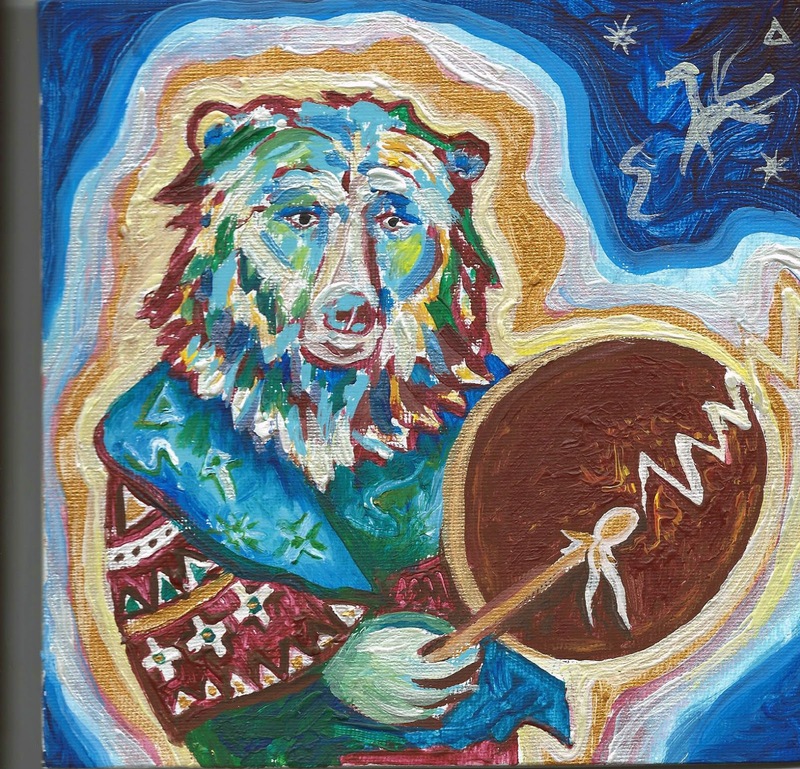 She booked a plane ticket, flew down the coast, drove in a rental car out to a small center near Bend, and was soon singing an indigenous song to call in the healing power of the Bear. In the first morning of the workshop, she joined in a group journey to go down into the Cave of the Bear and receive its gifts. She came back with tears of joy in her eyes. She told us, "I now know what is required for me to be a true healer as well as a physician. When my patients come to me, they will get the best that modern medicine has to offer. At the same time, they will receive the healing power of the Bear, because that is all around me." She later reported that she felt the Bear paws over her hands, gently guiding her in her work. This rich and beautiful experience was only the first of our encounters. The doctor from Alaska came to subsequent Active Dreaming workshops, and in a journey for spiritual guides during a week-long adventure at the Esalen Instiute, she met a radiant being whose body seemed composed of liquid gold, who wrapped his own energy and insight, and that of his serpent companion, around her. She had received a vision of Asklepios very much in the way that the ancients perceived this sacred guide, the god of dream healing. She promised that she would carry this transpersonal energy, also, into the consulting room, and would urge her patients to bring her their dreams as well as their symptoms, and to seek both diagnosis and keys to personal healing through the visions of the night. In this way, a doctor became more than a provider of medicine. In a sense, she became medicine, carrying the power and the insight to operate in the transpersonal and spiritual realms where keys to understanding the sources of illness and of healing are to be found. My next "Way of the Dreamer" radio show on healthylife.net, is LIVE on Tuesday June 12th from 9:00-10:00 am Pacific time, which is 12:00-1:00 pm Eastern. This is the show where we learn to reclaim the power of dreams, coincidence and imagination as sources of energy, healing and guidance in our lives. My guest for this show is Cecile Carson, M.D. and we will explore the application of shamanic techniques to our contemporary healing and healthcare. Cecile is a physician and shamanic practitioner whose work for several decades has focused on people facing life-threatening illness such as cancer and HIV disease. She was Clinical Associate Professor of Medicine and Psychiatry at the University of Rochester Medical Center from 1986–2006, teaching mind-body medicine as well as soul-level medicine to medical trainees. She is a founding board member of the Society for Shamanic Practitioners. Cecile has been at the forefront of the effort to expand our conceptual models for understanding the sources of illness and healing, drawing on shamanic traditions that have been at work on the planet for at least 40,000 years. She is especially sensitive to the power of naming and of the power of stories - the ones that release us and the ones that bind us - to shape our bodies and our lives. Cecile contends that clinicians can and should expand their practice to address the transpersonal and spiritual sources of illness and healing. To do this in the shaman's way, the clinician will be required to reach beyond his or her own skill sets and function also as "a conduit for the spirits to bring their power and inspiration through to address a fuller dimension of healing: the re-ordering of the self from the impact of illness, the re-membering of the broken and forgotten relationship to the larger web of life, and the recognition that we are more than our physical bodies." Did you notice that the image features the caduceus of Hermes rather than the serpent-staff of Asklepios? Extra karmic points. The two are endlessly confused, including on missives from the healthcare community. The emblem of Hermes is appropriate here (as are winged feet) because a radio show is about getting the word out.